Wedgie's wonderful world: Black and White.....and a splash of colour! I hope you are well and have had a lovely week! This week has seen three different work Christmas celebrations and my mum's Birthday.....I'm exhausted!! I only have two more work days left....and lucky am able to work at home on those two days, so no more nasty 6:30am commute this year! I am so pleased to type that! This is my last Sweet Stampin challenge of 2014 and we have decided to leave you with a colour combo challenge....we want to see your black and white cards with a splash of colour on them. It can be any colour....but it must only be a splash!! 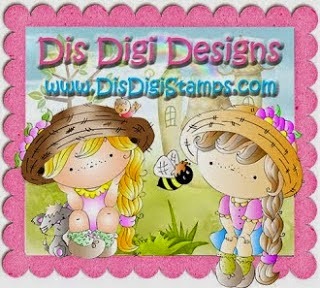 I love this stamp, it's pretty and I think it looks great both coloured and also in back and white. Because there is that lovely berry on the top of the cake, I decided my splash of colour needed to be bright red. 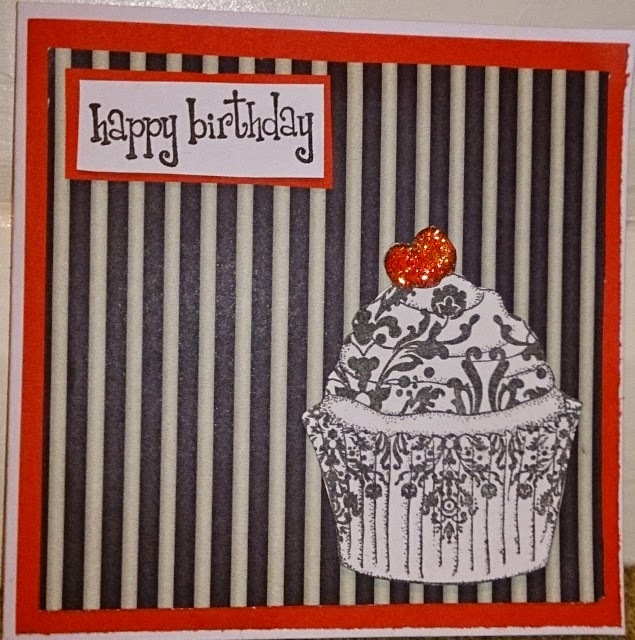 To match the elegant cupcake I decided to use a black and white striped backing paper, along with some plain red paper to continue the colour theme. There is of course some sparkle on the card too! We can't wait to see what you've been creating! Love your colour combo and fabulous image.